Posted: 0 Post subject: 80s toys for trade or sale-want Pound Puppies and 80s toys! I'd like to trade the following preloved items, or am open to offers (Paypal) . I have described them to the best of my abilities, see pics. Please ask any questions about anything as I might have left out info important to you! - Vintage Pedigree Patch, Sindy's little sister- Hong Kong smaller version ?Offers? -Misc played with condition or better Disney figures. -Wade Whimsies from 1980s (From Christmas crackers), a few have small chips in (some factory faults) , so pm for details about specific animals. Trade value c £3 each for unchipped ones. Cows gone. Remember I live in England. Thanks for reading thus far! Posted: 0 Post subject: Re: G1 HTF UK Ponies for trade plus misc vintage collectables. Posted: 0 Post subject: Re: G1 Ponies plus misc vintage toys- I WANT OLD POUND PUPPIES! Might also trade for other 80s toys, I collect lots of things! Show me your trade pics! 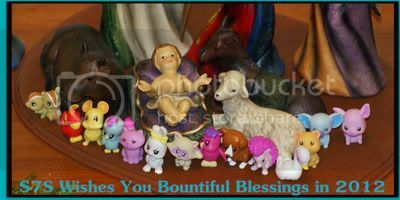 I have 2 Pound Puppies and newborn twin Peeks that I would trade. I would love Guava Lava! PM me if you're interested! I am still adoring that rollerskating pony in your avatar! Posted: 0 Post subject: Re: Various MLP and 80s toys 4 your Pound Puppies & 80s toys! That's Afrobay! Afrobay loves D.I.S.C.O. When my website is up again you can all see Afrobaby too!